“Although My Cloud Grocer was not the least expensive solution we looked at, we made our decision to partner with them based on the feedback we received from their other clients — as well as their team’s ability to demonstrate very strong technology skills and thorough knowledge of the retail grocery industry,” said Mayer Gold, CEO of Seasons Supermarkets. Seasons’ customers can now shop online at different store locations; even when traveling they can order groceries from their favorite store by choosing the location that services the area they are in. 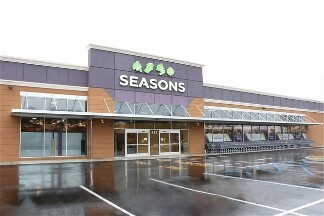 Seasons Supermarkets, with four stores in New York, is scheduled to open additional stores in Baltimore, Maryland; Lakewood, New Jersey; Clifton, New Jersey, and Cleveland, Ohio. Since products and prices differ somewhat from location to location, My Cloud Grocer’s online pricing and inventory are seamlessly integrated with each individual store’s product line. Seasons’ site is also the first to use the new “Shop by Recipe” feature recently released by MCG. “Shop by Recipe” allows customers to choose a recipe and, with a few clicks, add the needed ingredients to their shopping carts. All supermarkets services by MCG receive free upgrades as company releases new platform features. “We are receiving very positive feedbacks from all our clients who are eager to update their sites with the new Shop by Recipe,” said co-founder and chief technology officer Yehuda Vernik of My Cloud Grocer. “We are constantly receiving compliments on the ease of use and the ultra-fast loading speed of our website,” said Seasons’ Mr. Gold. “ ‘Shop by Recipe’ is very popular among our customers.